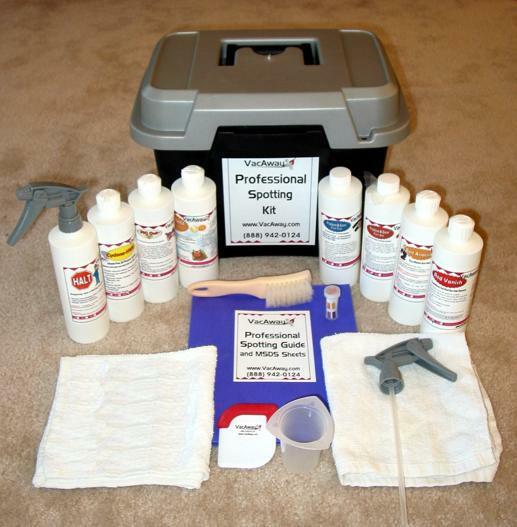 A professional spotting kit to remove most spots and stains. 1 Carrying case with handle with ONE easy to open and close latch. Unlike other kits, a "Quick Pick" product locator is on the inside of the lid to help you pick up the right product each time... no more lifting of each bottle to choose the product you need. Please Note: Spotting Kits can only be shipped via UPS ground.